Oregon truly is the most beautiful state! I took my first plane ride this year… to Florida and back. Coming back, I had a window seat and I stared out the window the entire trip home looking at all of the states we passed over. When we hit Oregon the sight was breathtaking. Oregon is just as beautiful from the air as it is from the ground! Moved from Maui to Oregon, this would be a great way to get to know our new home. Mahalo for the chance. Two plus years ago I suffered the sudden death of my husband. We had 42 wonderful years as friends, lovers and husband and wife. At 63 I find myself starting my lifevover again. Yeah…this would be nice. Thank you. This would be a trip of a lifetime for my husband. My great great grandparents on my grandfather’s side, Washington & Mary Cardwell, and their children came in 1858 on the Applegate Trail to Canyonville. My grandfather was born in Roseburg. Then on my grandmother’s side, her parents came in 1872 via a train to San Francisco, then a boat to Coos County with their oldest children. My grandmother was born in Coos County. Good luck everyone! Thank you. Both sides of my family immagrated to Oregon on the 1845 wagon train. I’m definitely a daughter of Oregon Pioneers and love Oregon history! I would love to take my son for this trip. What a great experience. Oregon, I love…My Mom was born in Hood River and is buried there…I’d like to be able to go visit her grave and visit living relatives in HR. My Aunt that lives in HR will be 102 this year… My grandmother was born in a log cabin in HR in 1899. I grew up in PDX. Moved away, years ago…Thank for hosting a contest…who ever wins will makes some great memories. What a wonderful opportunity to explore Oregon! Thank you for the chance to win! I love the dynamic history of the Oregon Trail! These three stops are a fabulous snapshot of Oregon. All three museums are on my must see list. this 7th generation Oregonian loves this type of adventure!! I enjoy your magazine and variety of articles you provide! Oregon history is most intriguing and to have the opportunity to visit these areas would be a gift. I remember being a very excited 4-year-old celebrating Oregon’s Centennial in Independence, watching the wagon train come through town. My mother made me my very own little prairie dress and hat. It would be wonderful to visit the other stops along The Trail again! I miss being home. No matter where I live, Oregon is where my heart is. 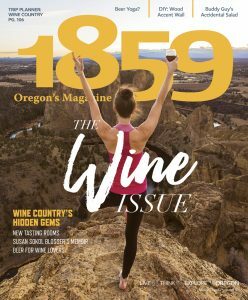 I work in the Columbia River Gorge and have heard many stories about the Oregon Trail. I would love to make the trek (if only for a few days). We Rode with 3 of the Wagon Trains for the 150th Anniversary of the Oregon Trail. This trip would be awesome for us as there was no wagons for the 175th. My little Grandson is living in HR ,my Ganddoughter will be born this month there and I have Friends in Baker, Portland and HR !It would be great to visit them . I have been all over this beautiful America. BUT there is no state that offers more diverseness, warm friendly people and fascinating scenery! Win the trip or not…. we are already winners! My McCully and Cooke ancestors traveled the Oregon Trail in 1850s. This would be an amazing adventure! Ohhh, this would be the trip of a lifetime! I/we would love this in followup to our volunteering at FVNP and learning about all who came over the trail. 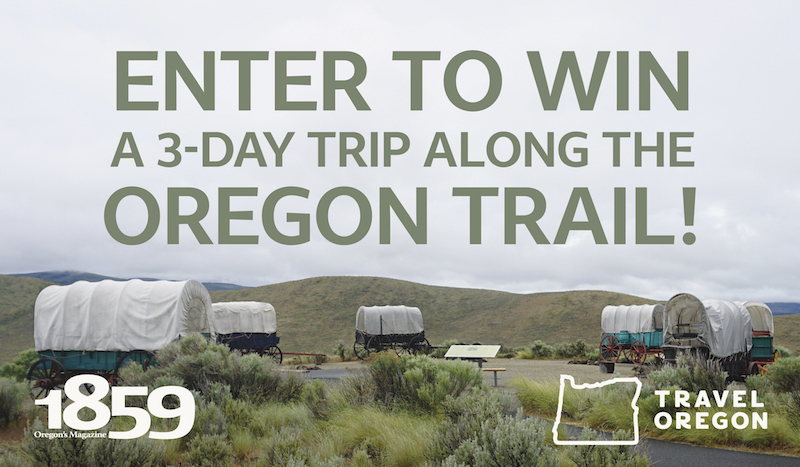 My family settled in southern Oregon from the trail…this would be awesome! My great-great Fredenburg Grandparents were Oregon pioneers. They came to Oregon on a wagon train from Missouri. My other great-great Pankey grandparents were Oregon Settlers. They buried their youngest son Ross Pankey, near Baker City. After settling they came back to get the baby, and buried him in the Pankey Park Cemetery in Gold Hill, Oregon. I would love to experience a small amount of what this trip was like for the pioneers!! Love any history of my Oregon! Would be a trip of a lifetime for me and another box checked on my bucket list.